*View the Community Science Newsletter online. 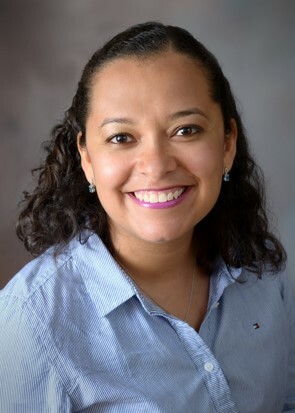 Maria Fernanda Mata, MA Analyst, has experi-ence in social science research, program development, public policy, and advocacy, particularly in the areas of community engagement, access to healthcare and social support, immigration, and social mobility. She is particularly interested in the application of quantitative and qualitative research to improve programs and services that empower racially and ethnically diverse communities. At Community Science, Maria is working to develop a tool kit that community- and faith-based organizations can use to reach and increase healthcare access for the most vulnerable populations. As part of this project, she is helping to identify strategies to educate communities of color and individuals with limited English proficiency, low literacy, or low health insurance literacy about the importance of obtaining health insurance coverage and the benefits of accessing preventive healthcare. Prior to joining Community Science, Maria Fernanda served as programs research associate for the National Hispanic Council on Aging, where she led program and policy research on key issues impacting Hispanic communities, including health, retirement security, and access to social programs. EvalPartners Global Evaluation Forum III was successfully held in the Kyrgyz Republic in April. Delegates signed the Bishkek Partnership Statement at the Parliament of Kyrgyz Republic, in the presence of the Speaker and Vice-Speaker of the Parliament who hosted the closing ceremony held in the impressive setting of the national Parliament. Participants recalled the first Global Evaluation Forum, held in Chiang Mai, Thailand in 2012 where the Chiang Mai Declaration was made to pledge support to strengthen civil society capacity for evaluation. The second Global Forum was held at the Parliament of Nepal in 2015 in the context of the International Year of Evaluation (EvalYear) and made history by having the first ever international evaluation event held in a national parliament. The event was also significant as the Global Evaluation Agenda 2016-2020 (also referred to as EvalAgenda 2020) and new evaluation networks were officially launched. We hope that the Bishkek Partnership Statement will inspire the continued collaboration of partners in making the Global Evaluation Agenda 2016-2020 a reality. We are looking forward to work with you all towards our common goal of strong evaluation systems worldwide. The Justice & Prevention Research Center (JPRC) has as its core mission providing evidence-based information to help guide policy and practice in areas such as violence prevention, school safety, juvenile and adult criminal justice, and public health. This guidance can come in various ways: through reports and publications, webinars and presentations, technical assistance and training, and by serving on advisory panels and technical working groups. In this update, we describe a new Justice & Prevention Research Center (JPRC) effort to provide guidance to a large agency providing services across the U.S. to at-risk youth. We also put the spotlight on a National Institute of Justice-funded school safety project getting ready to launch next month in Texas. Finally, we again underscore the importance of a multi-partner effort, involving the JPRC, to carefully synthesize research to inform the development of new guidelines for Juvenile Drug Treatment Courts. We conclude the newsletter by highlighting a recent blog article on WestEd’s use of regression discontinuity design in the educational context, and a upcoming presentation by WestEd staff at the upcoming crime prevention symposium at George Mason University. WestEd is a nationally recognized not-for-profit research and services firm. The agency’s mission is to promote excellence, achieve equity, and improve social and learning outcomes for children, youth, and adults. WestEd has a long history of effective collaboration with local community, justice, and education agencies in implementing, and evaluating successful programs that promote positive youth development, physical health and well-being, and prevention of risk behaviors including violence. *Click here to view the newsletter in its entirety. The Green Bay Packers Mentor-Protégé Program August Newsletter Available Online! Inside the August issue of the Green Bay Packers Mentor-Protégé Program newsletter you will find information on networking, elevator pitch, business toolkit, and more!